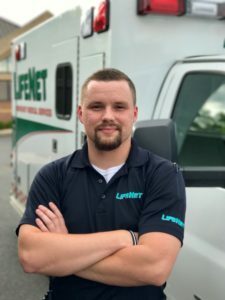 Brandon Herron is a Paramedic and Field Training Officer with LifeNet in Hot Springs, Arkansas. Brandon was nominated by his peers as a Star of Life because they recognize his positive impact on all those with whom he makes contact. As committed as Brandon is to his profession, he is also a family man and dedicates as much time as possible to friends and family. Brandon especially enjoys playing outdoors with his son, Hunter, and their Boston Terrier. Brandon’s wife, Crystal, and son are very proud of his successes.